HelpHound Blog: Reviews rescue Paris taxi drivers - so what? First - the story. 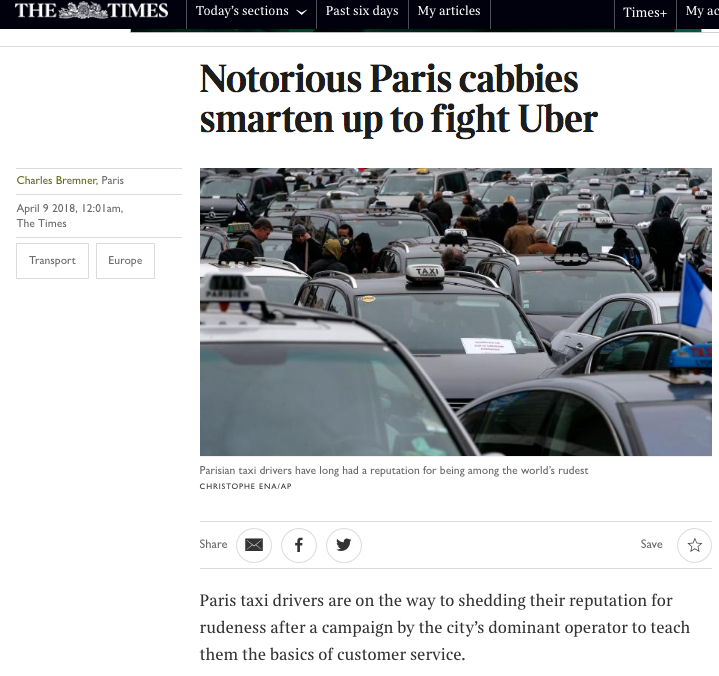 Parisians - and visitors - were being driven away from using Paris's licensed taxis, overwhelmingly owned by G7 - a business built by Andre Rousselet to the stage where it controlled 8,000 of the French capital's 20,000 cabs. Why? By dirty cabs, surly cabbies and some pretty dodgy practices. Andre and his deputy, Serge Metz, looked long and hard for the solution to a problem that has dogged the existing taxi industry worldwide when faced with organised competitors such a Uber. business began to flow back towards G7's cabs. It is a great validation of M Rousselet and M Metz's open-minded attitude that they adopted this course of action. Needless to say it has not been popular with some of the old-school Paris cabbies whose habit of living in their cabs and taking customers to the Gare du Nord via Versailles, whatever their starting point, had become ingrained, but it enabled the management of G7 to quickly identify those die-hards and apply pressure in cases where it was needed. The message from G7 is that reviews can do all this and more - they can be used to motivate staff to provide a better service and then monitor that service to ensure consistency of delivery. Professional review management will drive business, and will make your business look great against its competitors, but that's not all: it will also provide your business with a great way of ensuring your service is delivered consistently, across locations and staff.